The holidays may be a little dimmer this year. 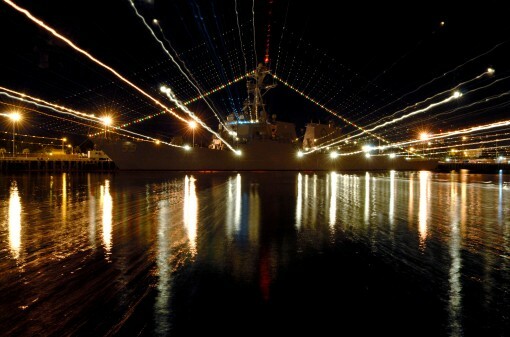 In an effort to cut down energy use, Rear Adm. Phil Collum, the director of the Navy’s Energy and Environmental Readiness Division, is pushing sailors to use energy-efficient holiday lighting when they decorate their ships. But some energy-efficient lights, namely LEDs, don’t shine as brightly as their incandescent counterparts, as Consumer Reports revealed. LEDs are cheaper to operate — in some cases they use around 90 percent less energy — but they can cost nearly three times as much to buy off the shelf compared with incandescents. The savings should appear in the future since LEDs have a longer lifespan. Collum also said that he hopes that when judges score ships decked-out with holiday lights, they consider how efficiently they use energy. Use energy-efficient holiday lighting, and use solar panels when outdoors. Turn off work computers when you’re done with them for the day. It saves around $80 per year. It saves another $15 per year if you turn them off when they’re not in use during the day. Follow safety guidelines. That means being careful when using heaters and not overloading electrical outlets.